Kapil Sharma's former co-star Ali Asgar, who earlier revealed that he quit the embattled show because of creative differences, now said that after a point of time, he was also 'not happy' with the character he played, reports The Times Of India. 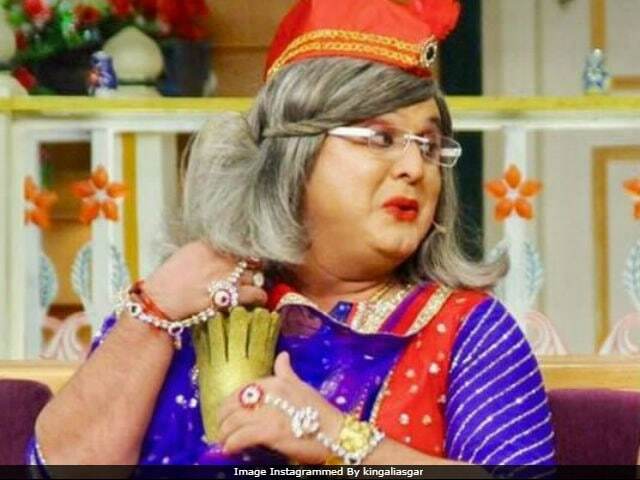 Ali Asgar featured as Pushpa Nani on The Kapil Sharma Show. "I was not happy with the way my character shaped up, it had no definition. I felt people at some point would get bored watching me play grandmother and I had to do something else. I would get little to do in the last few minutes of the episode," the 50-year-old actor told TOI. Ali Asgar is now a part of Kapil Sharma's rival Krushna Abhishek's new comedy show Drama Company. Ali Asgar added that Kapil Sharma and Sunil Grover's mid-air altercation was also one of the reasons behind his exit. "I continued with it for a year and then I decided to plan my exit. Around that time, the unfortunate incident on the flight from Australia happened (Kapil abused Sunil Grover and Chandan Prabhakar), which further fuelled the exit," he told TOI. In March this year, team The Kapil Sharma Show were flying to India from Australia, when Kapil, reportedly drunk, hit Sunil Grover with a shoe. Soon after the incident, Sunil Grover quit the show. Of working again with Kapil Sharma, Ali Asgar told TOI, "Maine koi kasam nahi khayi uske saath nai kaam karne ki. He was the captain of the ship where I used to work. That project did not work out, that's it." Last week, it was reported that Kapil Sharma's show, due to falling TRP rates, will go off air. However, later Kapil's co-star Kiku Sharda said that the reports are false. Meanwhile, he also clarified that Kapil couldn't shoot for some of the episodes as he was 'ill.' Several media outlets reported that Kapil Sharma was in depression. Weeks ago, Shah Rukh Khan and Anushka Sharma had to leave the show without shooting due to Kapil's deteriorating health condition and later team Mubarakan had to face the same. However, Kapil shot for an episode with Mubarakan cast last week.